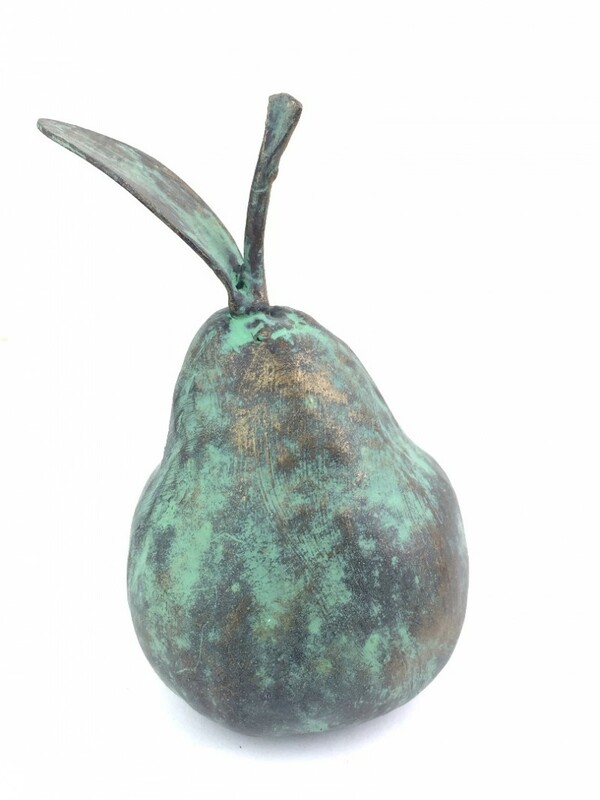 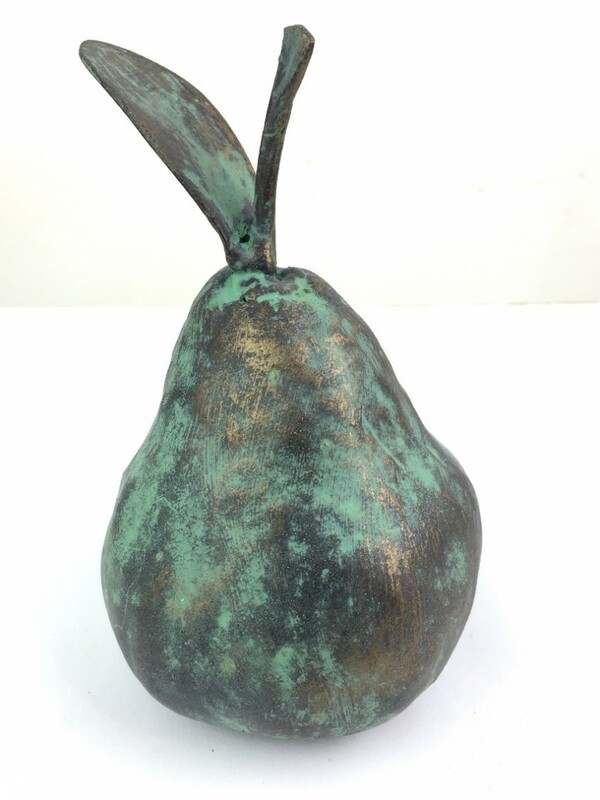 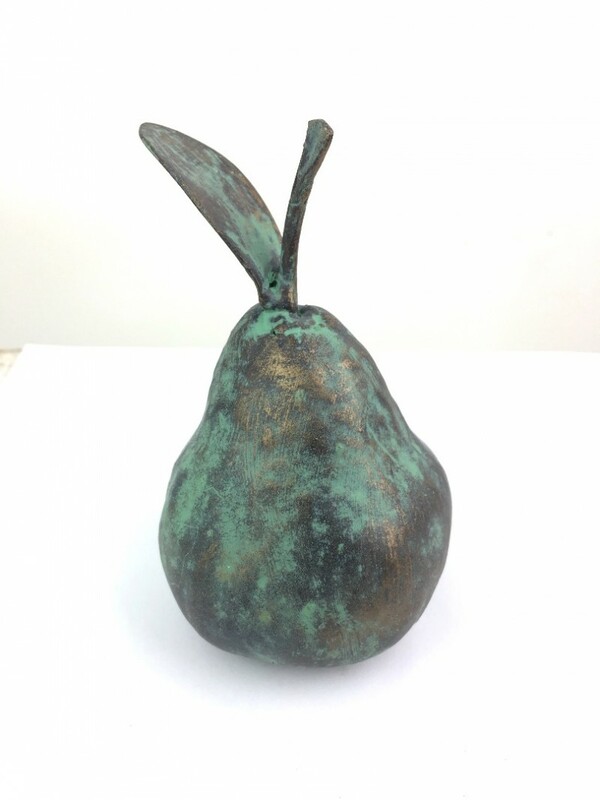 This is an actual size bronze verdigris effect sculpture of a pear . 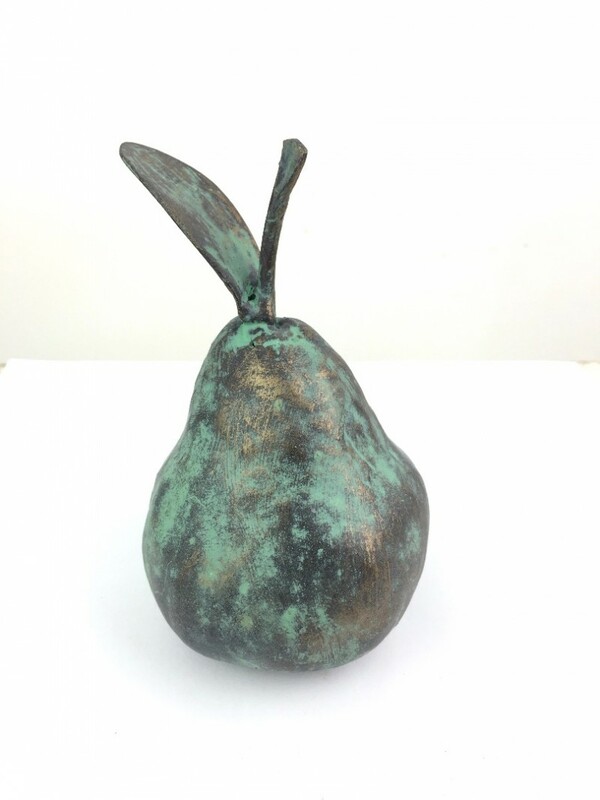 Looks lovely on its own on a side table or grouped together with others or in a bowl with real fruit. 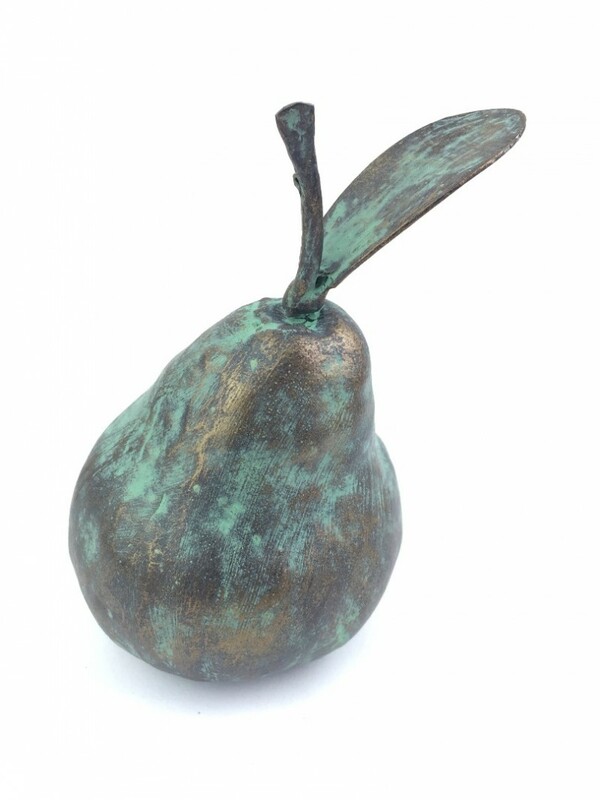 A very versatile sculpture that can be moved around the home or garden.